VATICAN CITY (CNS) — Pope Francis is the sovereign of Vatican City and has a Holy See passport. 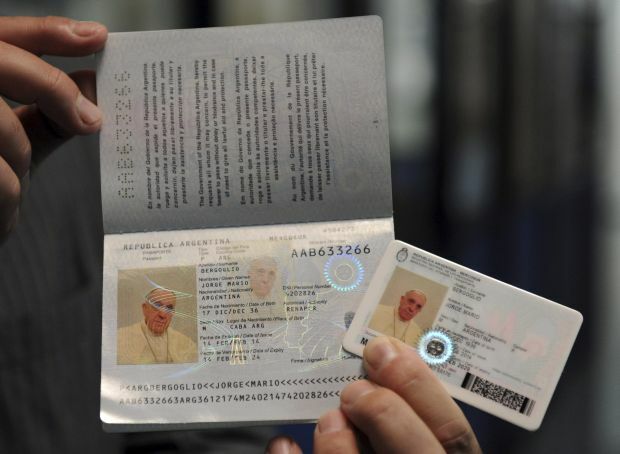 But even dressed in papal white, Jorge Mario Bergoglio is an Argentine citizen with a brand new passport and national identity card. The pope’s Argentine passport was about to expire, so he asked the Argentine embassy in Rome for help renewing it. Officials went to the Domus Sanctae Marthae, where the pope lives, Feb. 14 and brought all of their equipment with them.